This seminar will help participants to identify the causes of their stress and provide them with practical, effective tools to avoid, reduce and manage stress – both on and off the job. Seminar Length: Two hours minimum. Full seminar: One full day. The seminar includes written individual and group exercises, group discussions, group activities and business simulations designed to create a highly-effective learning experience. 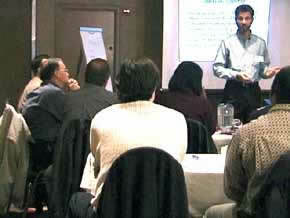 The seminar can be customized to meet the requirements and the skill level of your group. Much of the stress we experience is due to poor communication and misunderstandings. Everyone has his or her own communication style, and styles often clash. DISC is a simple model for understanding communication styles and adapting your style to more effectively communicate with others. 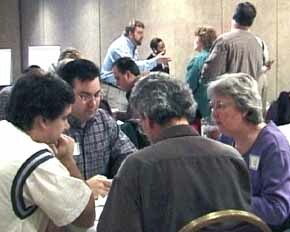 The personalized reports, and group interaction based on the assessments, add tremendous depth to the seminar. 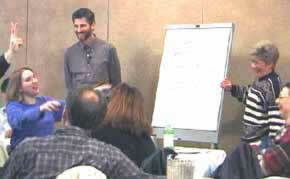 Contact us to schedule a stress management seminar for your group.